Do you want to see some really good films without the bother and expense of going to a cinema? Do you want to make the most of this fantastic new community centre? Do you want an opportunity to meet friends and neighbours while enjoying a glass of wine or a hot drink? 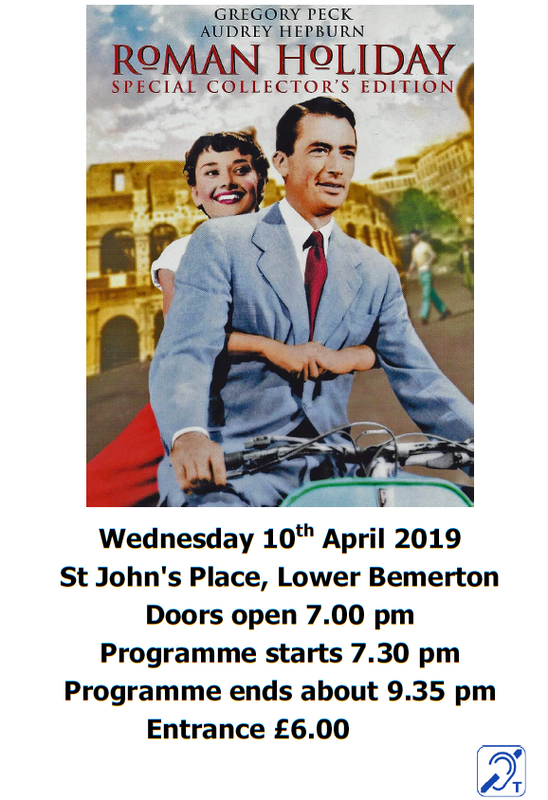 Then the Bemerton Film Society is for you! We meet in St John’s Place on the second Wednesday of the month. Doors open at 7:00 p.m. and the film starts at 7:30 p.m. Entry is £6. BFS was set up in 2010 as part of the fund-raising effort for the church’s conversion. We show a wide variety of films: old and new, some well-known, some unrecognised gems. BFS regulars and local people have the opportunity to suggest titles, and choose what we screen from an annual questionnaire. Superb new projection facilities have now been installed in SJP, which with the new comfortable seats, will greatly enhance the viewing experience. More information about the current film and the future programme are given below. All in St John’s Place on the 2nd Wednesdays of each month, doors open 7:00 pm for 7.30 film. For more details about the next film to be shown, and the forthcoming programme, please click on the button below.